Rainford Tennis Club’s Head Coach, Samuel Jalloh is travelling to Ghana this week to deliver sports programmes to underprivileged children. 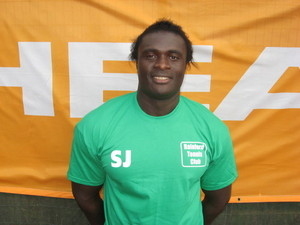 Samuel Jalloh is the founder of the Sam Jalloh Sports Foundation and travels back to Africa each year running voluntary sports coaching, competitions, camps and coach education. Over the past five years, the Foundation have visited Sierra Leone, Gambia, South Sudan and Ghana. With equipment kindly donated by organisations and individuals in the UK, Sam will be delivering tennis and martial arts this year in the town of Winneba, in partnership with the Ghana National Sports College.